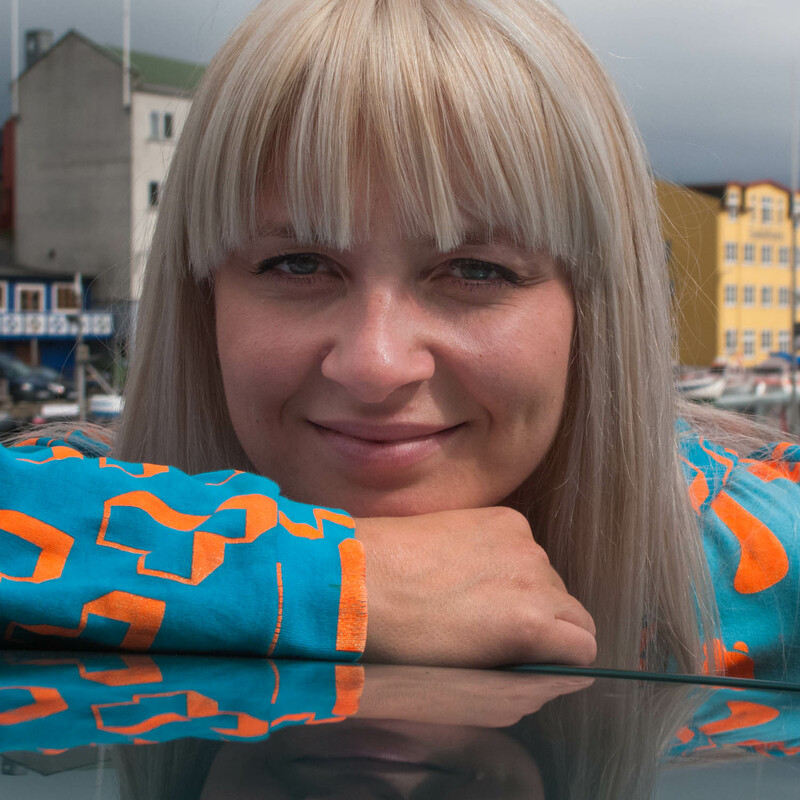 Eivør Palsdottir, or rather Eivør Pálsdóttir as they write it in the Faroe Islands, was introduced to Kristian Blak (see the episode Kristian Blak) as her parents suspected that her vocal potential was out of the ordinary. Kristian immediately recognised her unique talent, and this was the beginning to her career, touring Italy at the age of twelve, releasing the first CD at 16. 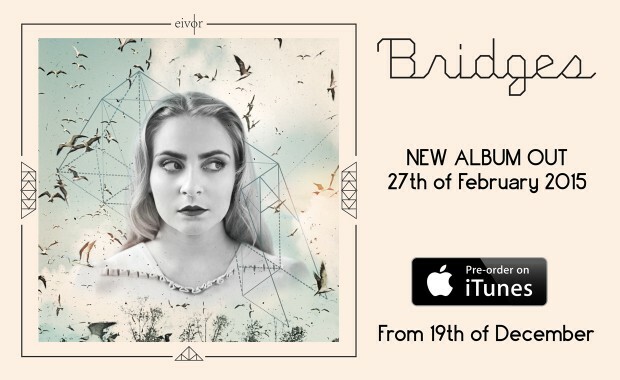 She's got a fine website and an album being released this month, check out Eivør.com. Eivørs brand new album " Bridges "
I had never heard of the girl, but got a tip and was allowed to surprise her band as they were jamming. This is just one of the peculiar examples of how the Faroese never gave me a "no" when I asked for help in any form. They certainly need you to ask, if not you get no help at all, but as soon as you make your request clear, the solution is right there. Never seen anything like it. So, as I uttered a wish to see where Eivør actually is from, she called her parents who arranged a surprise super-dinner for me. Her cosy dad (peace be upon him) served whale meat hunted by himself. Later, Eivør sat down with her drum to sing for me by the sea. Not once, as we were not really satisfied with the first attempt, but twice, in spite of her experiencing extremely busy times, recording the album "Larva" in between concerts in three continents. After I returned from the Faroe Islands, she was doing a tour of Norway with our famous band Vamp and Kringkastingsorkesteret - an explosive combination. I was welcome to shoot them in Oslo Spectrum, where Eivør was exactly the same kind personality as I had gotten to know in her little village Göta, out there on the remote islands in the North Atlantic. From all my experience with Eivør, I have to say she has my greatest respect as a person, with all the small flaws and challenges that includes. I am very grateful to her totally lovely family and wonderful manager Sigvør Laksá, who is actually her neighbour. Sigvør gave me a bed for the night and left it to me to wake up her unknowing teenage daughter early in the morning. Can you imagine having a bearded stranger leaning over you when you wake up after a late party night? The girl was totally cool about it, adding to my admiration of the Faroese mentality. They're something else. 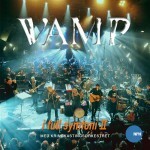 VAMP - "I full symfoni II"
A big thank to VAMP! Vamp was worried that my sound recording from Spectrum would be below their standards, which it most certainly would be, so they let me use their own sound and I mixed some of their shots with mine. I owe you guys a big one for that, and hope the result pleases everybody! What a great bunch you are. ... one more thing. During the editing, it occurred to me, that Eivør were actually flirting in my direction. This theory I aired for Sigvør, when talking on the phone. "-No she did not," she replied very promptly. "-Well how do you know? You have not seen the clip!" I wondered. The answer was simple: "-We don't flirt in the Faroes." I had to laugh, kind of relieved. "-So you mean, the fact that I had no luck with women during my three months on the island do not have to mean they they did not like me?" It takes a while to understand the ways over there. Good luck with it. And enjoy the episode. Here's one of Eivør's music videos. Now tell me what you think of that voice? !